The project, situated between the Dubai and Abu Dhabi Emirates, consisted of twenty-nine Blocks, is providing complete residential facilities. 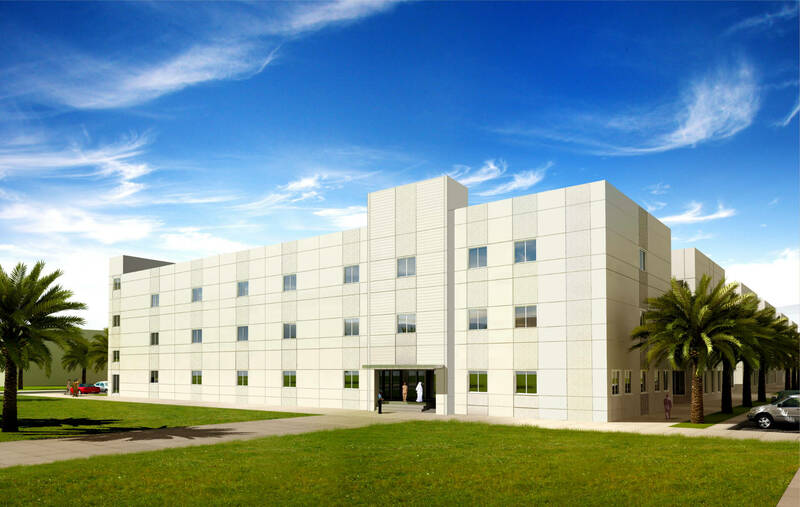 This is a sample project of e.construct full solution for accommodations which are typical projects in the gulf area. It features full precast solution providing durable yet economic and elegant construction. Design development, including detailed structural design drawings. Precast concrete engineering services, including element shop drawings, method statements, site supervision and technical support throughout the duration of design and construction. e.construct developed an optimum structural system using precast concrete technology as substitute for the original cast-in-situ reinforced concrete system. This concept was developed and selected after a detailed comparative design study, in order to achieve maximum time and cost efficiency. The resulting precast concrete units covered all vertical, as well as horizontal, structural slabs, beams and precast staircases.